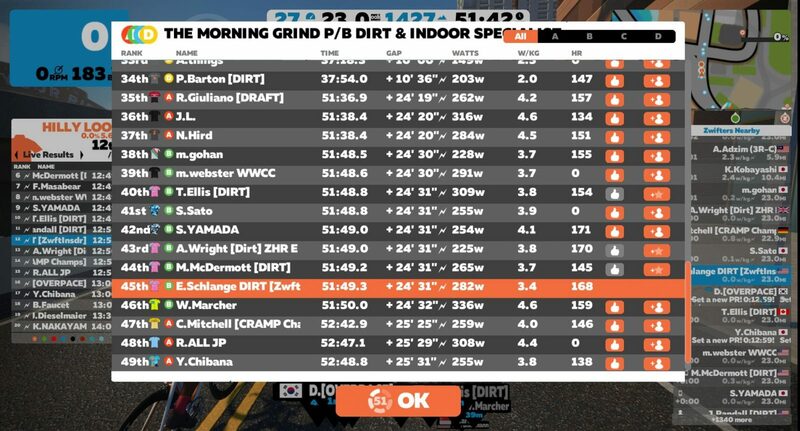 I’ve been racing the Morning Grind Fondo series for several weeks, and I certainly can’t quit now since I’m leading the B category overall. 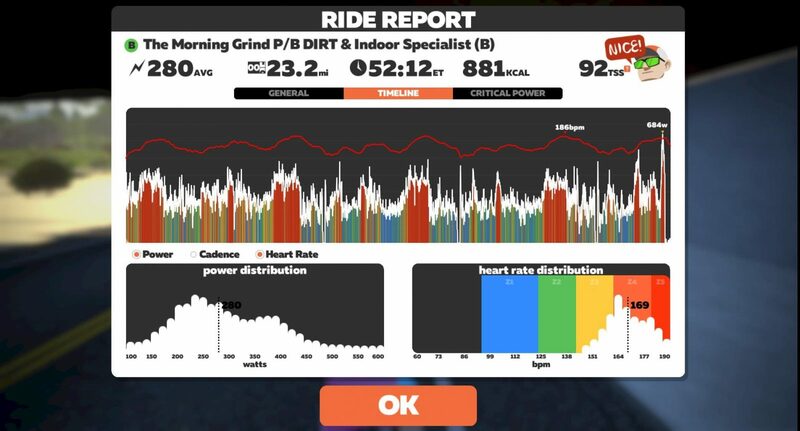 I’m not a particularly strong racer, but I have shown up regularly and finished with the front group consistently, and with a longer series that’s often all it takes to win. Today’s race story is particularly worth sharing because of the teamwork aspect. I hope you enjoy it! Having been on vacation for two weeks, I went into this morning’s race with a lot of questions. Did my diet of fine French pastries fuel fitness gains? Was two rides in 16 days enough to keep my legs fresh? Would a dodgy sleeping schedule lend itself to race-ready freshness? I feared the answer was “no.” And I wasn’t wrong. 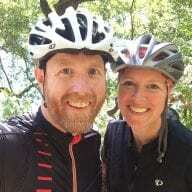 Four laps of Watopia Hilly were going to hurt even on a good day, and towing four extra pounds of pastry fat up that cursed wall would only amplify the suffering. That said, the first time up wasn’t bad. “I can do this three more times,” I thought to myself. Hubris. We dropped half the field of 31 on that first climb, leaving a front group with a strong DIRT presence of Tim Ellis, Andrew Wright, Joe Randall, Mark McDermott, and myself. 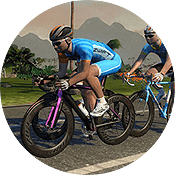 Knowing no attack would get away in the early minutes, I focused on recovery for the non-KOM portion of each lap, staying in the draft and conserving. The third KOM wasn’t quite as bad, and while I was happy to still be in the front group of ~10 riders, I feared the final KOM because I knew some racers would throw down their hardest efforts here. And that’s exactly what happened. I crossed the fourth and final KOM banner 2-3 seconds behind the main pack, with nothing left to chase back on and quads starting to cramp. 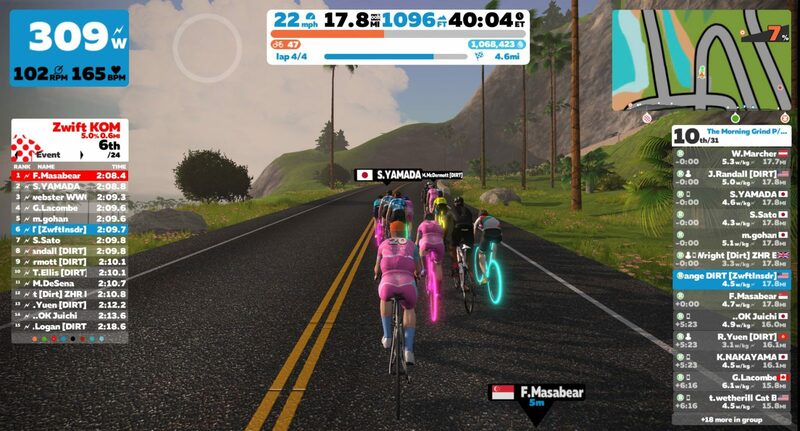 After spitting out a breathless, “I’m off the back” on our team Discord, I was almost ready to ease up and TT it home when I spotted two teammates coming up from behind. Tim Ellis and Andrew Wright had waited for me, and now they moved ahead, taking turns to pull me back to the group. Studs! At the same time, Joe Randall and other DIRT riders in the front pack eased up, forcing other riders to push the pace if they chose to do so. This slowed the front pack, allowing us to catch on with a quick ~20 second effort. Teamwork. The pace picked up on the final ramp into the Esses, and I was hanging with the pack but didn’t have much left. Hammered out the final sprint, cramping quads and all, but still finished in the back of the front pack. 6th overall… I’ll take it. There are only two races left in this Morning Grind Fondo series, so I’ll be hitting those hard in hopes of keeping my top spot. Next week should be a good one for me since it’s on Richmond Flat. But the final race on Innsbruck Lutscher… that’s a terrible idea. I can’t wait. 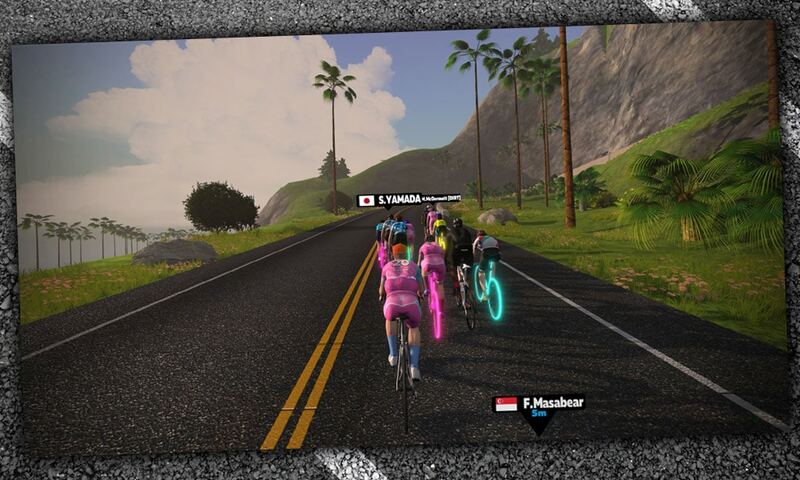 Teamwork isn’t always easy to pull off on Zwift, but it still happens regularly in racing. Got a good story? Post it in the comments below! Thanks for sharing. 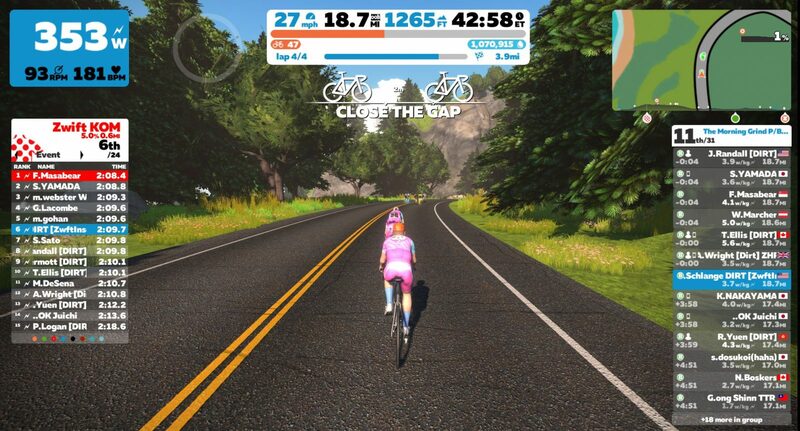 With Zwift’s new functionality of distributing particular power-ups, the ability of riders to work together and use power-ups strategically could make a real difference.